Mandatory reselection is one of those debates that pops up regularly in the expanded Labour Party. Many new members have taken up the cause championed for decades by the Campaign for Labour Party Democracy (CLPD), of which Tony Benn and Jeremy Corbyn were at the forefront in the ‘80s, and have urged reform of the current ‘trigger ballot’ system. Currently, if a sitting Labour MP wishes to restand and it’s not a snap general election, the Constituency Labour Party’s branches and affiliates (trade unions, socialist societies, etc) meet and vote ‘Yes’ or ‘No’ to reselection. Unless a majority vote ‘No’, there is no full selection process and the incumbent becomes the parliamentary candidate again. As reported on LabourList, earlier this week the Young Labour national committee chose a motion to send to 2019 party conference on behalf of the party’s youth wing. The executive opted for one advocating mandatory reselection over the preferred alternative of YL chair Miriam Mirwitch, who put forward one regarding young people’s mental health services. Opponents of mandatory reselected are concerned that activists’ resources would be diverted at a crucial time in the run-up to a general election. And the optics of this motion are bad, they say. When people turn on their TVs during Labour Party conference, do we want them to see members obsessing over rule changes? Or should the party use that platform to promote policies? In response, the other side asks: then how do we improve our internal structures through democratic means? And shouldn’t we proud of boosting democracy at every opportunity? Criticising the Young Labour decision this week, many argued that young people are more concerned by low wages, unaffordable housing and poor mental health service provision. Touching on that issue and others, NEC youth rep Lara McNeill has written for LabourList today outlining her reasons for backing the rule change. “New candidates, especially young members and those from working-class backgrounds who are institutionally shut out from standing as candidates, would be on an equal footing against well-resourced MPs,” McNeill argues. The young parliamentary candidate who proposed it and the councillors who voted for it are aware of the barriers, she adds, and YLNC members “plan to run a candidate school and push for funding for young PPCs”. This isn’t a simple left-right divide. Some on the Left point out that Jeremy Corbyn himself might have been deselected had tougher reselection processes been enacted earlier. 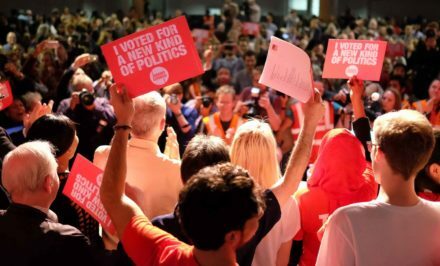 And as we saw in the hard-fought Lewisham East selection race last month, Corbynsceptic activists and groups like Labour First are still successfully organising for their preferred candidates (even if those candidates helped Jeremy Corbyn as leader, but promise – for instance – not to follow the party line on Brexit should it harden). Momentum and figures such as Aaron Bastani of Novara Media have taken up the fight to push for heightened democracy – even calling for the party’s general secretary to be elected. Though Jon Lansman told The Independent earlier this year “Momentum nationally is not going to campaign to deselect any MP and we will stick by that”, the key word here is “nationally”. Tensions between the national organisation and its local branches mean Momentum activists on the ground could easily ignore the chair’s recommendations. The reselection process for MPs is expected to be addressed in Katy Clark’s democracy review. As LabourList revealed in March, following an online consultation of members Momentum is one of the bodies (along with CLPs) that has submitted a proposal for reform to the review. The deadline for phase three of the consultation is coming up on June 29th and a first report should be produced in time for conference, so watch this space.